Democrats are taking over the House while Republicans retained their control of the Senate and might extend their majority in the US Mid-term elections. The division of strength in US Congress takes down the US Dollar. 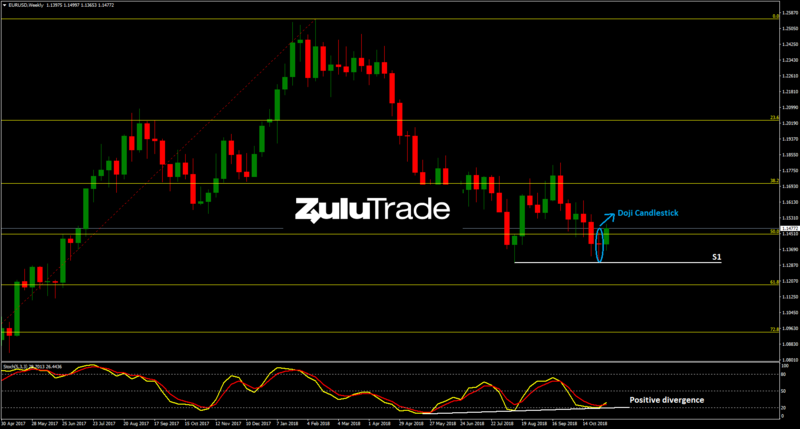 Looking at the weekly technical aspect, EURUSD formed a Doji candlestick, while it has already hit the support (S1). Also, Stochastics has been forming a positive divergence, which indicates a potential reversal. Heading to the daily timeframe, the pair is violating the 50.0% Fibonacci resistance level to the upside, at the same time as RSI is breaking out above the 50 level. 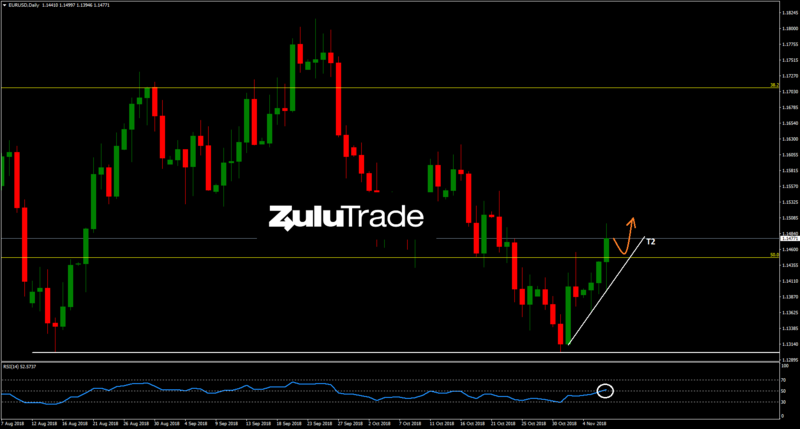 Having already been following the trendline (T1), EURUSD may continue its bullish momentum towards to 1.155. On the other hand, if price goes below T2, then market may offer a selling opportunity.